Wednesday, and the weekend is not far away. We have not been up to to much the past few days. On Monday we made a nice ramen. It is very simple and very quick even if you do the noodles yourself, which we always do. The broth is easily prepared and it only needs to cook for 10 minutes. This time we cooked the broth separately and poured it over the vegetables and noodles. 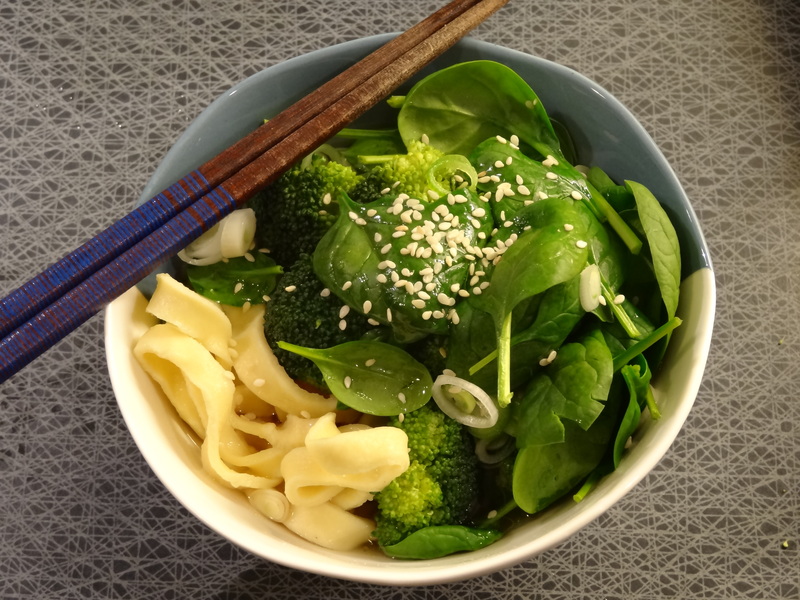 We used spinach, broccoli and spring onion in this ramen, but it is so easy to vary what vegetables you have. Spinach and broccoli are both very good for you so we tend to eat them in our ramen most times. Otherwise it is mostly work and the days go by so fast. As I have written about before, my leg has been hurting since Christmas and I have not been able to run since. On Friday I finally went to the physio to see what the problem was. I was given some exercises that I need to do for two weeks in order to strengthen the muscles in my leg. My hope and aim is that I will be ok to run a race on March 22nd. 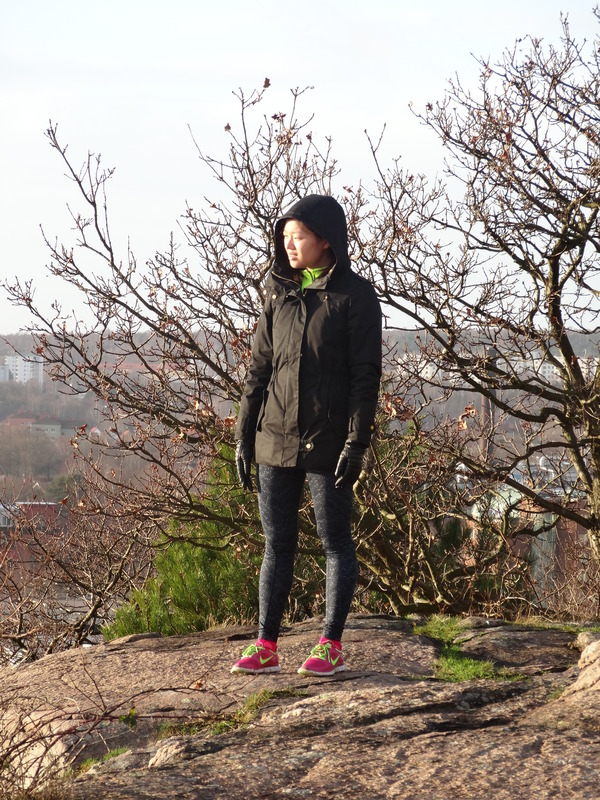 It is a pre-race for the Gothenburg Half Marathon that I will be running in May. It is basically a 10 km race that can give you a better start group. If you have never run the half marathon before you automatically end up in the slowest pace groups. So me and my sister (who I will run the half marathon with) will do that race together. Jason and Tommy (my sister’s boyfriend) are also running it. Jason has been very good at keeping up his training. Yesterday he did a session on the turbo trainer and today he went home a little earlier from work to do 30 km outside before it got dark. It was a very gentle ride and he said he loved the fresh air he got. 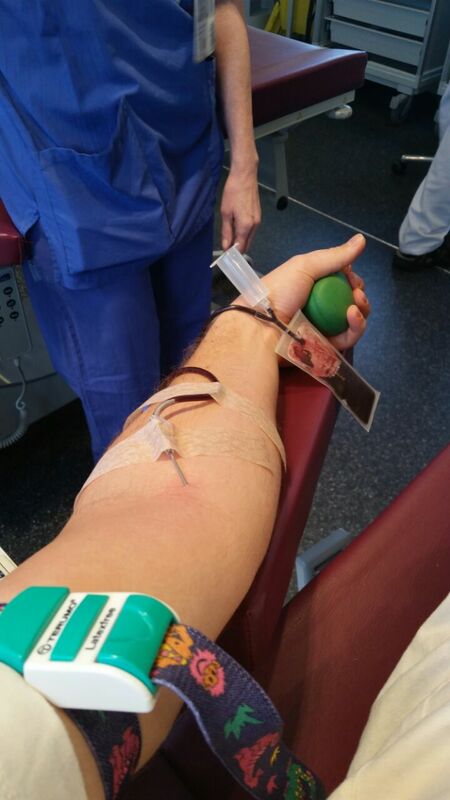 Jason is also a blood donor and today he gave blood again, hence the iron-rich vegetables in our ramen on Monday. I have to start as well, but I am really afraid of needles! 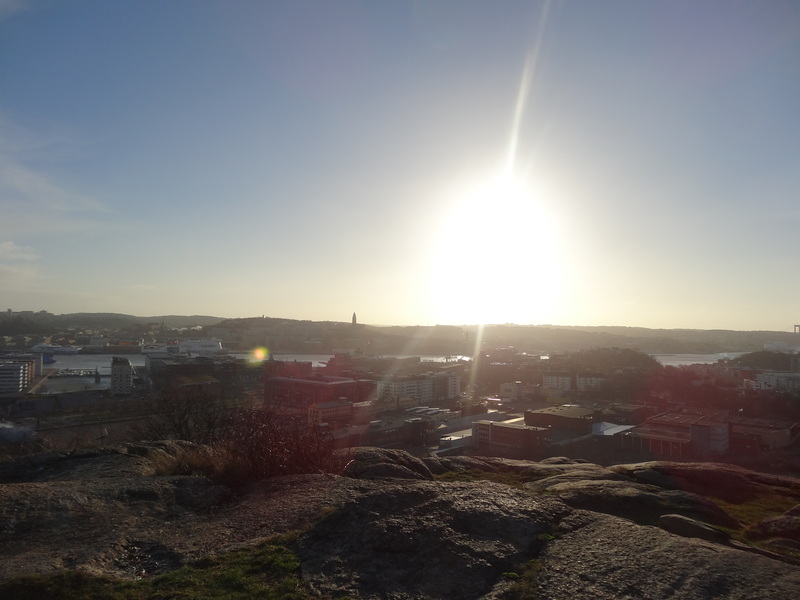 Luckily the weather in Sweden is slowly changing into spring! Today was the first day it really felt like the spring might come soon. There is something in the air and it has been plus degrees for more than a week now. It is very early for Sweden to get spring this time of the year and according to the news it is almost a month early in the south of Sweden (the north of Sweden still has winter). This entry was posted in Thoughts and tagged Blogging, cycling, dinner, Lifestyle, mid-week, noodles, ramen, running, vegetarian on 2015-02-25 by activebeans. So far we have had a great time in Spain. On Monday we had a very windy ride and also some rain which made those 60 km quite hard. 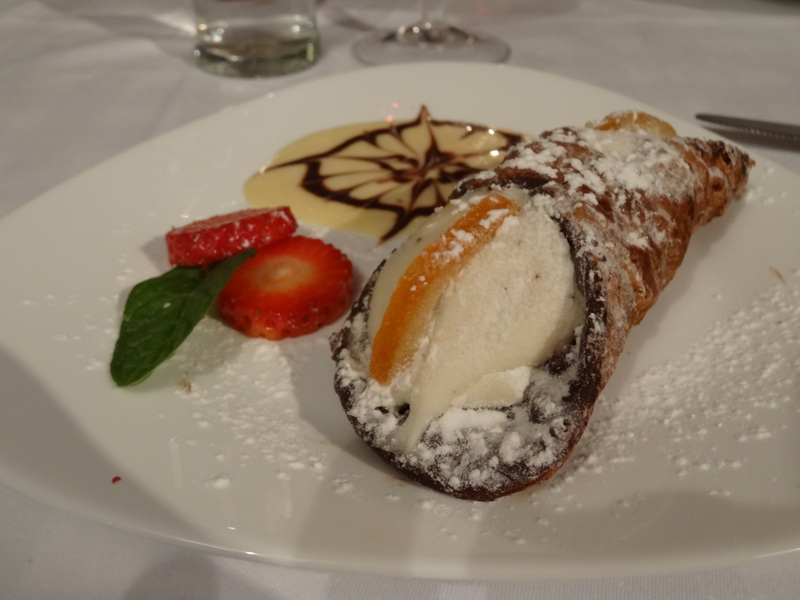 On Monday evening we went out for dinner to an Italian restaurant. We ate good food and treated ourselves to some nice desserts. On Tuesday we had a rest day and went to Torrevieja for some shopping. 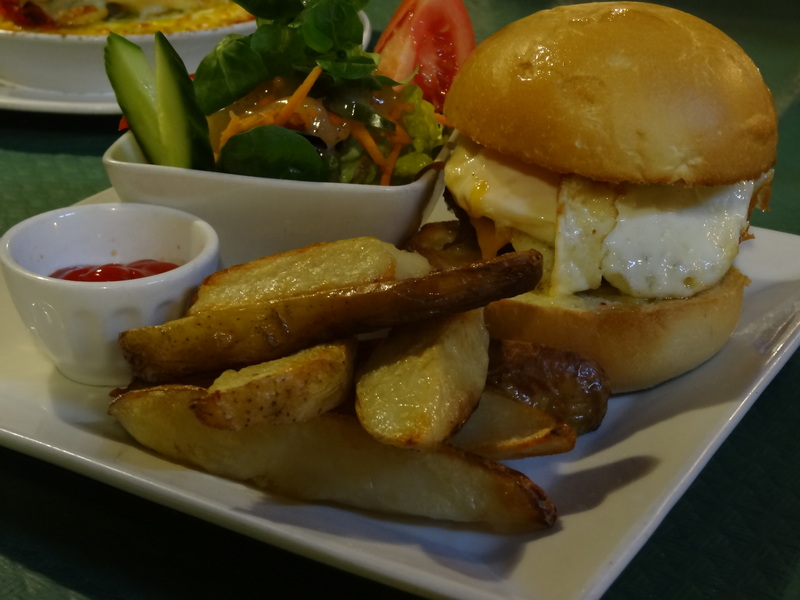 We also tried a vegetarian restaurant and the food was really good. 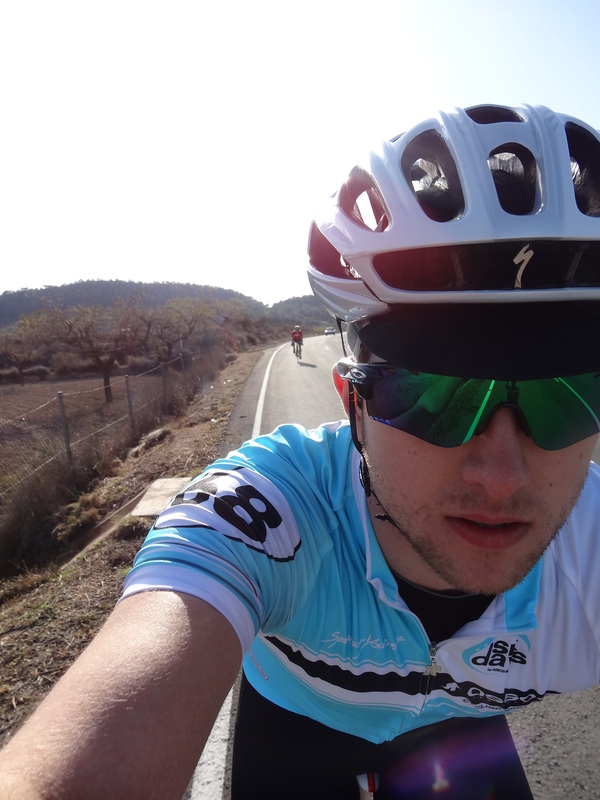 Today we cycled up my first mountain 🙂 Jason has cycled up Sierra Espuña once before with his dad. 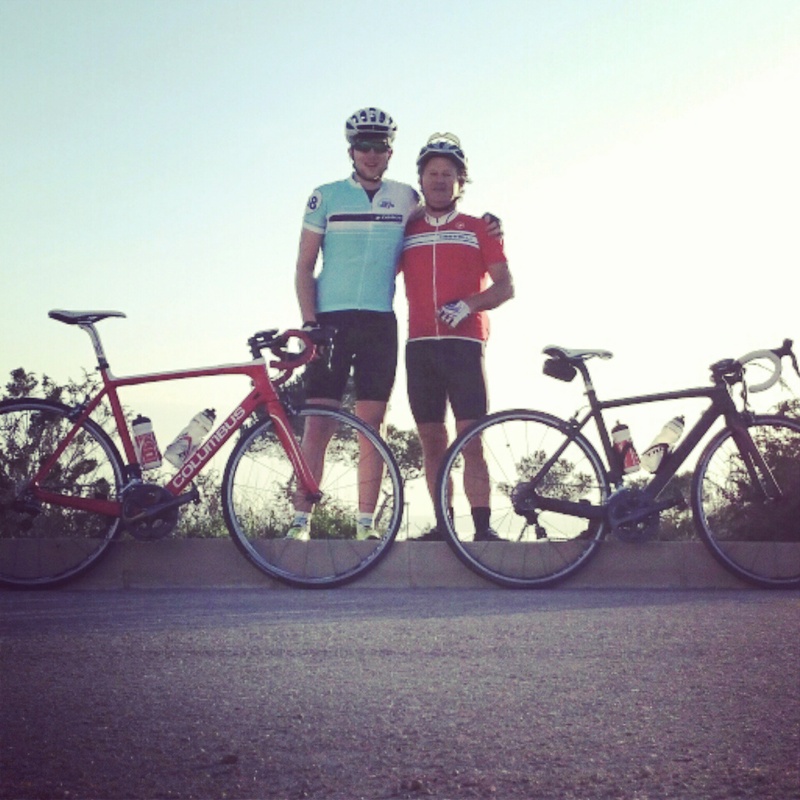 He has also cycled other mountains on Jeju (South Korea) and in France last summer (Tourmalet and Hautacam among others). I have really been looking forward to this as I want to keep pushing myself when it comes to cycling and see my abilities. This was my first mountain, but it will certainly not be my last, so much fun! Sierra Espuña is 1500 meters. It is 25 km to the top and Jason was expecting it to take about 2 h. That is a long way just climbing. The higher we came the colder it got 🙂 When we reached the top there was snow on the ground and it was very misty. However, it felt very good and like a great achievement for me! The descent was VERY cold to begin with. But when we came further down it got warmer again. Hardly pedaling for 25 km going down was great though! We hope you are enjoying your week as much as we are and that you are able to go out in the fresh air and get some exercise. This entry was posted in Thoughts and tagged asparagus, Blogging, cycling, exercise, homemade, Lifestyle, mid-week, pasta, Spain, vegetarian on 2015-02-11 by activebeans. But, we think they are great. The hooks fold to one side as well, so they take up less space than if they were sticking straight out. 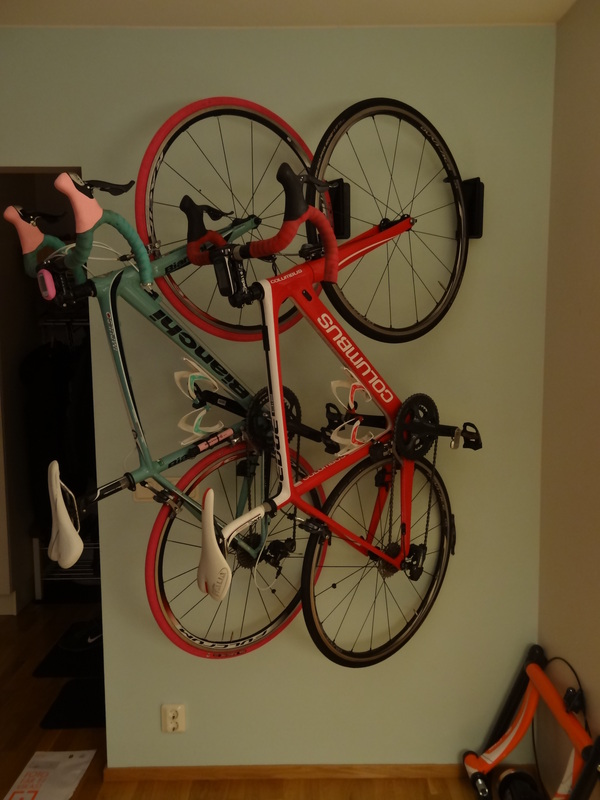 We’ll have our bikes up all the time and will have the third hook (once it’s up) for any guests we have with bikes (like each time my dad comes 😀 ). 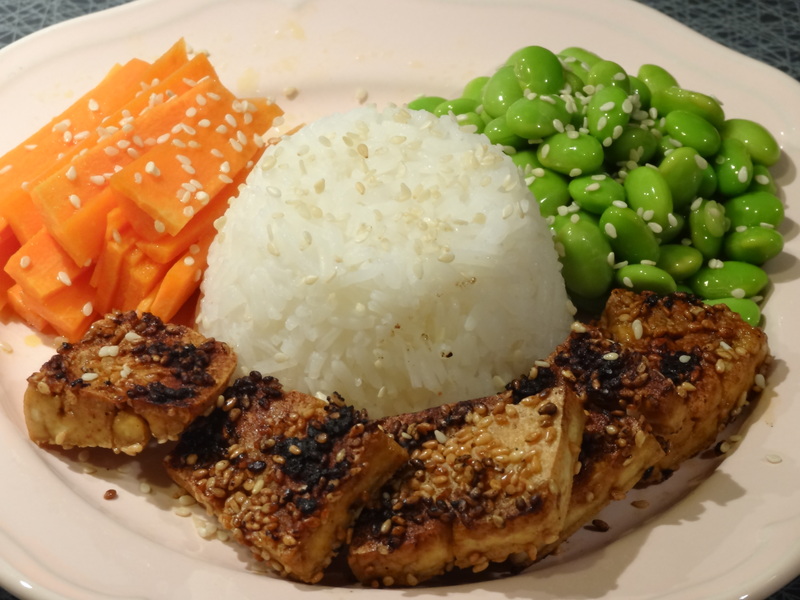 We made a delicious refried bean dish on Sunday, and an incredible Asian dish with sticky tofu (recipe coming soon) on Monday. 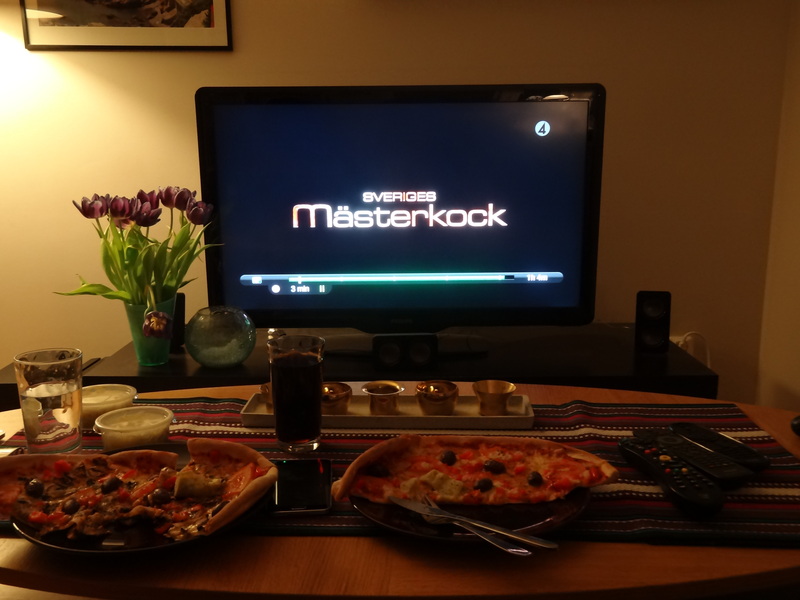 Yesterday we were both at work late for different meetings, so got food there, and today we had no energy after all the drilling and went for takeaway pizza that we had in front of Masterchef Sweden. This entry was posted in Thoughts and tagged Blogging, cycling, exercise, homemade, Lifestyle, mid-week, vegetarian on 2015-02-04 by activebeans. 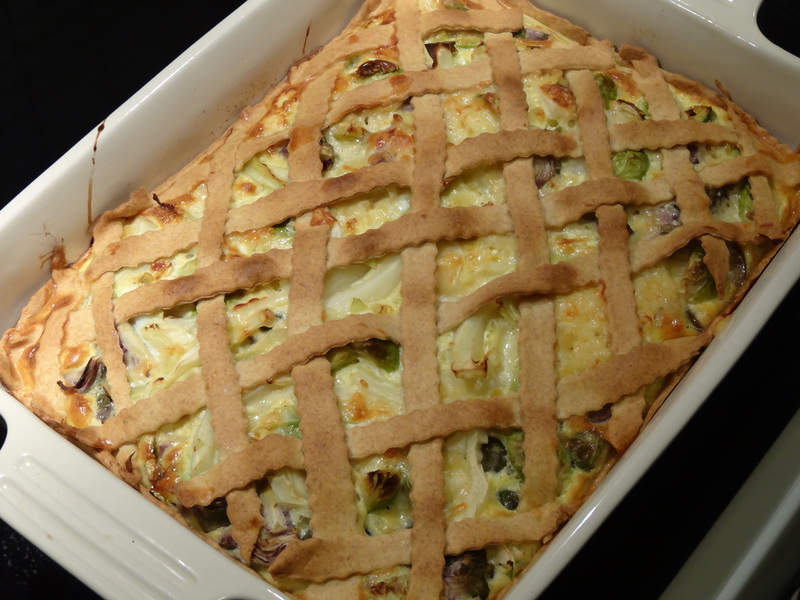 On Sunday we made a delicious pie, with three types of cabbage: Brussels sprouts, purple Brussels sprouts, and white cabbage. On Monday we made our yummy noodle soup (although we replaced the tofu with more vegetables). 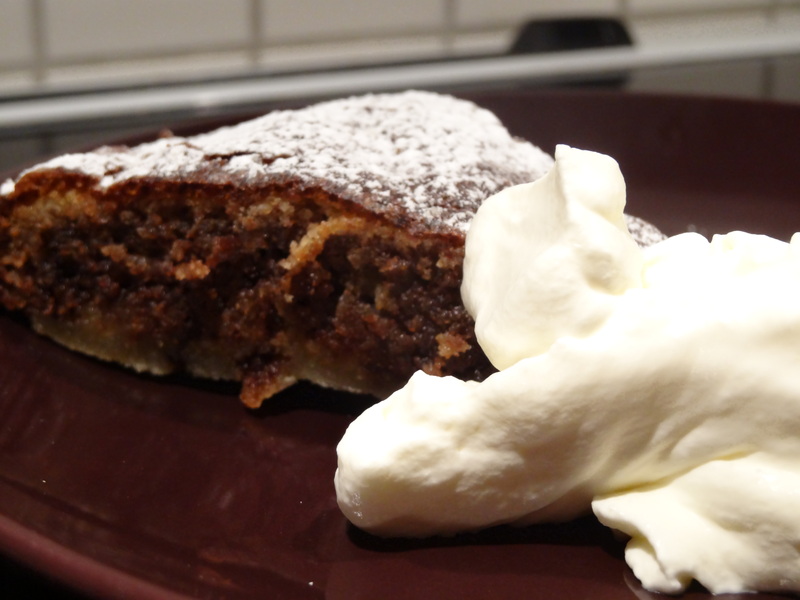 Yesterday our friend Sanna came over for dinner and we made pizzas and a deliciously-moist chocolate cake for dessert. 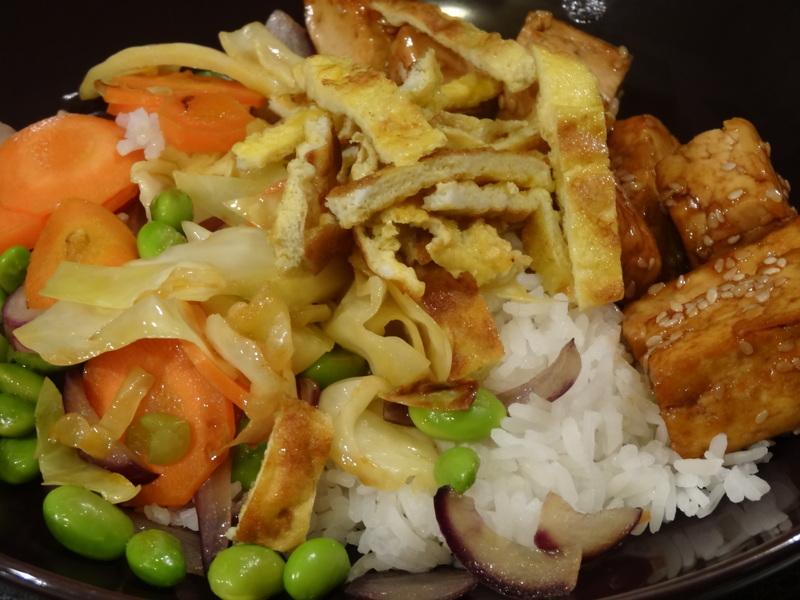 Today we made our quick Asian salad. Tomorrow and Friday we are planning some more new dishes though, with some corn pucks and roasted vegetables on the menu tomorrow. 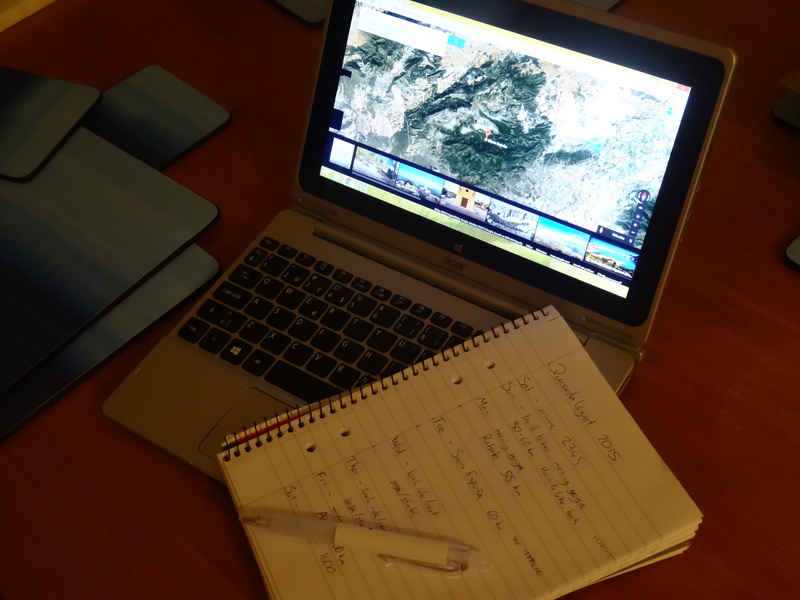 As said, we haven’t been up to much at all, but we have started to plan the agenda for our week in Spain a bit more. 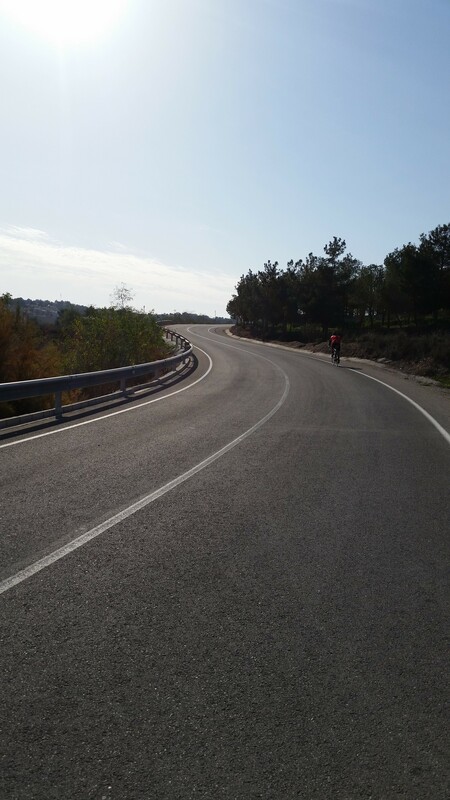 We plan to do five rides with the week totalling about 300 km, with one ride up Sierra Espuña (about 1500 m climbing) and one ride of over 100 km. 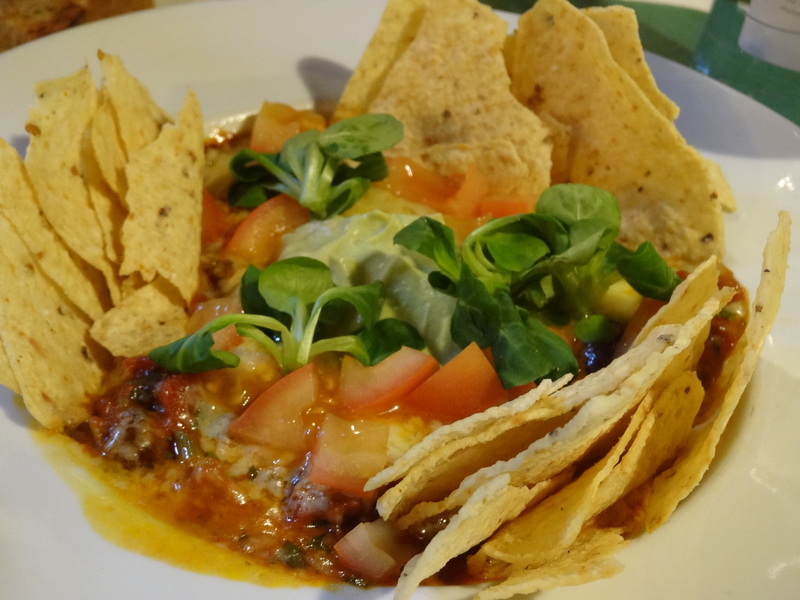 We plan on blogging while we’re there, and will try a vegetarian restaurant, as well as making our own food. I think we might try a few new portable food recipes as well, so keep an eye out for them. We made some rice balls the other day, but need to perfect the recipe. Fortunately the snow and ice has all melted here, but now it’s raining, and that’s not fun 😦 So we are really looking to Spain and the spring beyond that. 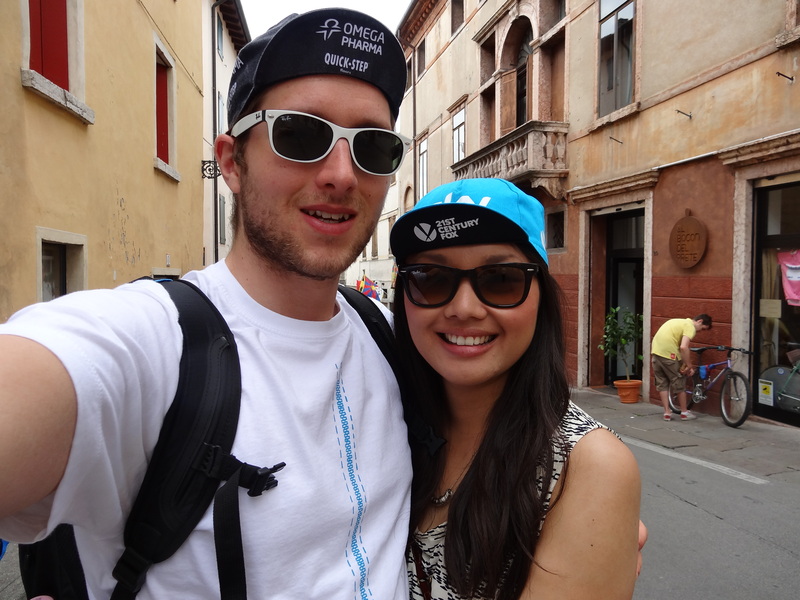 One of the things we are most looking forward to is probably going to Italy to see the Giro again! 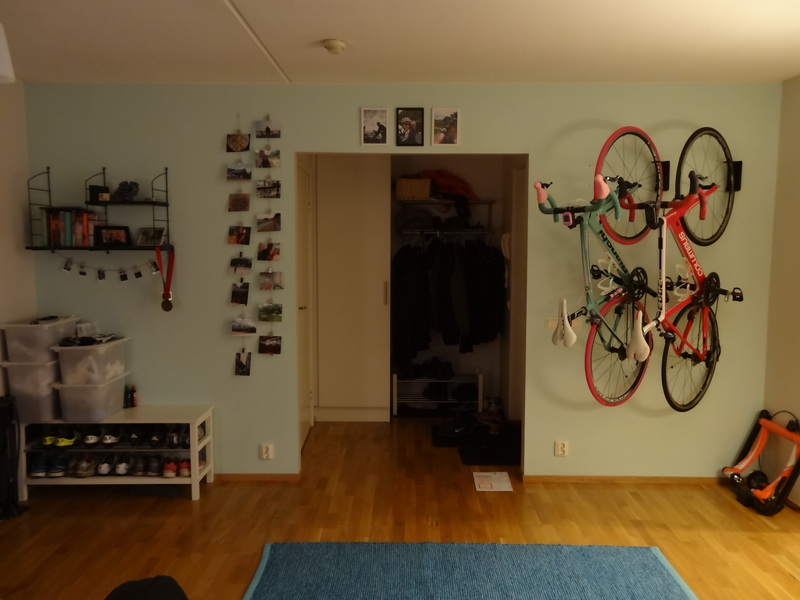 We will be going with my mum, who also loves cycling, and we booked all our hotels yesterday. Hope you all have had a good week so far and that we all get to the weekend soon! 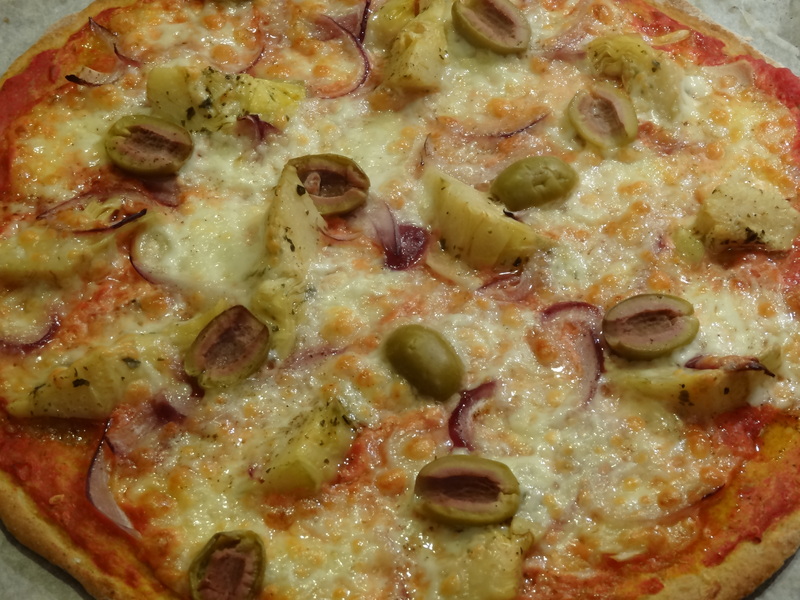 This entry was posted in Thoughts and tagged Blogging, brussels sprouts, cycling, exercise, homemade, Lifestyle, mid-week, pie, pizza, quickfood, Spain, vegan on 2015-01-28 by activebeans. This week we’ve both been feeling very tired, and have been going to bed exhausted most nights. So we thought we would see what we could do to ensure we didn’t carry that tiredness into our working days. So we’ve started with a meditative yoga session every morning. I (Jason) usually do some sort of yoga, stretching, or massage in the morning, but Sofi doesn’t. Next week I think we’ll make it more of an active session and maybe even do a session in the evenings before bed. We’ve also gone back to eating porridge so we have a good source of slow-release energy. We usually eat porridge, but sometimes we mix it up during the week and have cereal or yoghurt. We’ve been making some more vegetable juices as well, rather than pure fruit juices. 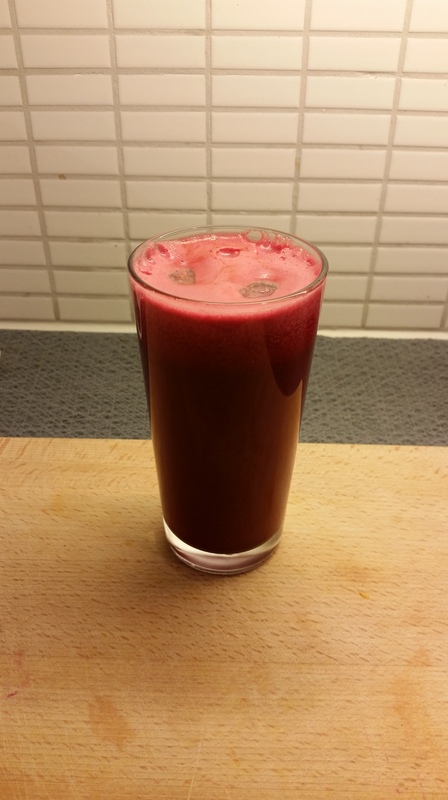 Today’s juice was the red devil above, which consisted of 3 small beetroots, 2 carrots, 1 apple, 1 blood orange. Absolutely delicious, and packed full of nutrients! We will compile a list of juices soon to release as one large post, but in the meantime, we’ll keep posting some here and some on Instagram. You follow us on Instagram, right? 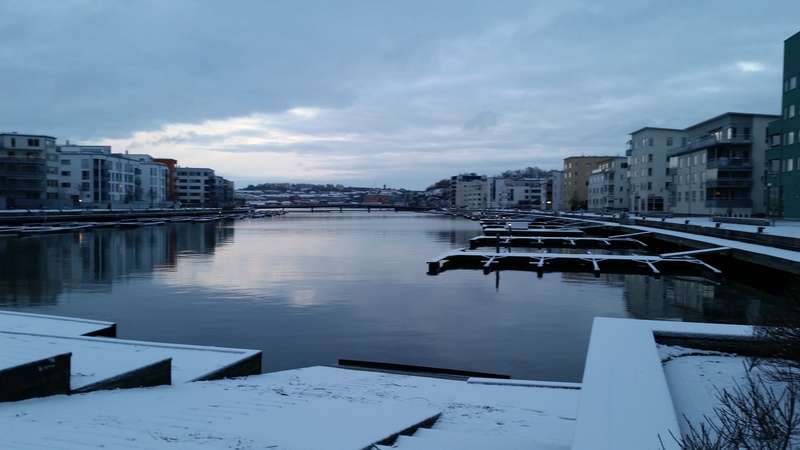 Unfortunately winter has decided to come back to Gothenburg this week, with more snow, some of which has settled. It wasn’t too slippery yesterday though, and I am planning on having a run at lunch today with some of my colleagues. 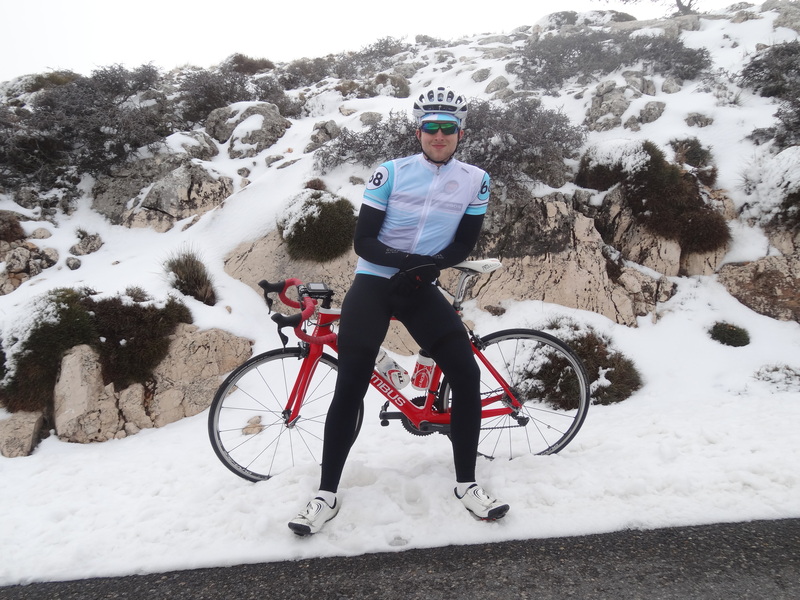 Hopefully the snow will clear and the roads will dry up before the weekend, as we have a couple of rides planned: a steady (50-60 km) one together on Saturday, and a longer (I’m guessing closer to or over 100 km) one where I will cycle with some of my other cycling buddies on Sunday. We’ll need fuel for both of these rides, and are planning to try out a new recipe for on-the-bike snacks, so keep your eyes peeled! We’re thinking about going to the cinema Saturday afternoon as well…any tips? This entry was posted in Thoughts and tagged Blogging, exercise, homemade, juice, Lifestyle, mid-week, quickfood, vegan on 2015-01-22 by activebeans. So what has happened so far in week 3? So why am I in Spain? 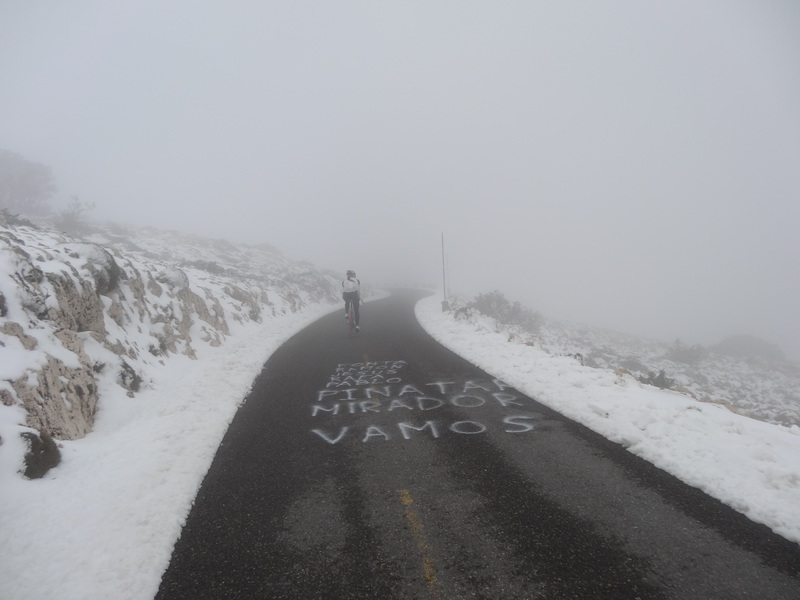 Well, lots of pro teams go to Spain during the winter for their training camps, because Northern Europe is far too cold to get some serious kms in. In fact, Etixx Quick-Step, Lotto Jumbo, and FdJ have been having their training camps about 1 hr north of us for the past few weeks – if it’s good enough for them 😀 But my dad was already coming over to fix a few things, and he said it would be a great opportunity for us to ride together. Like I said in another post, one of my goals is to cycle more each month, especially during the autumn and winter, so this holiday helps fulfill that. 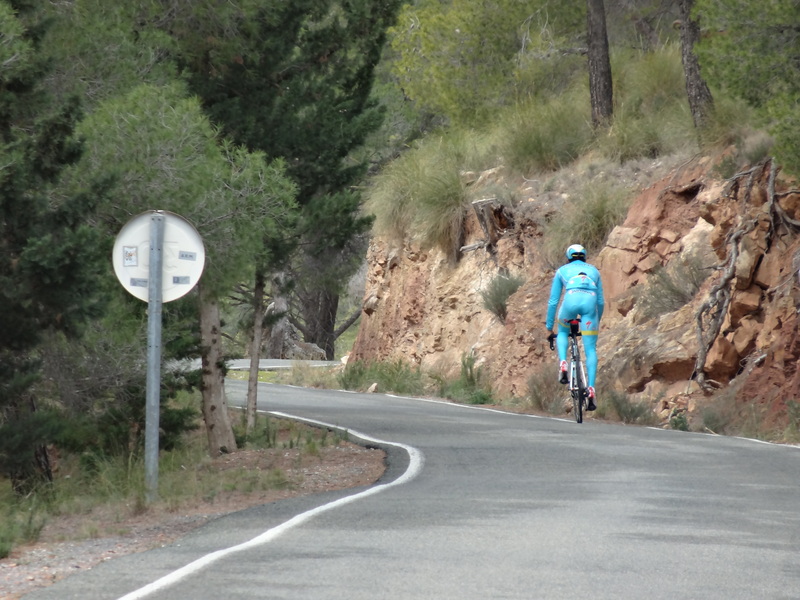 The weather here is dry and warm – over 20°C in the sun – which is ideal for getting some good base kms. 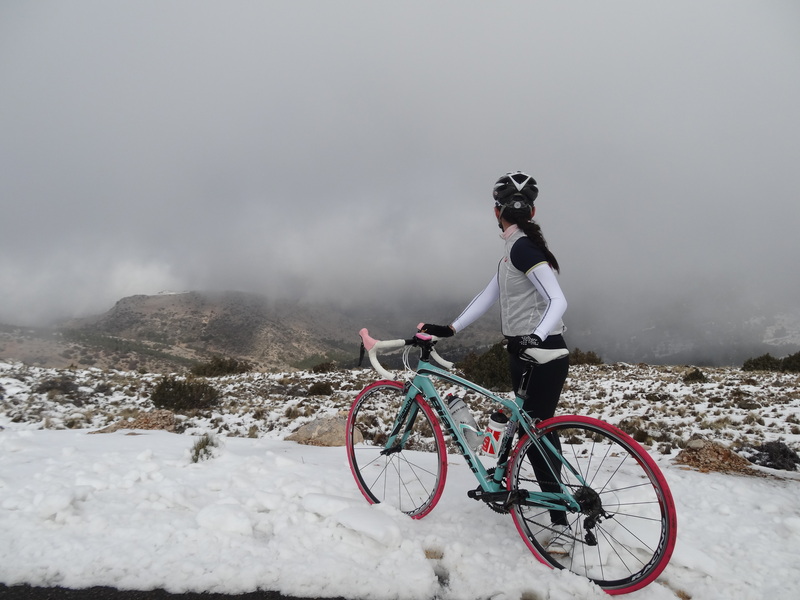 Neither me nor my dad have cycled enough over winter to put in some long and hard rides, but that is why a holiday like this at the beginning of the year is perfect – it kick starts your year! 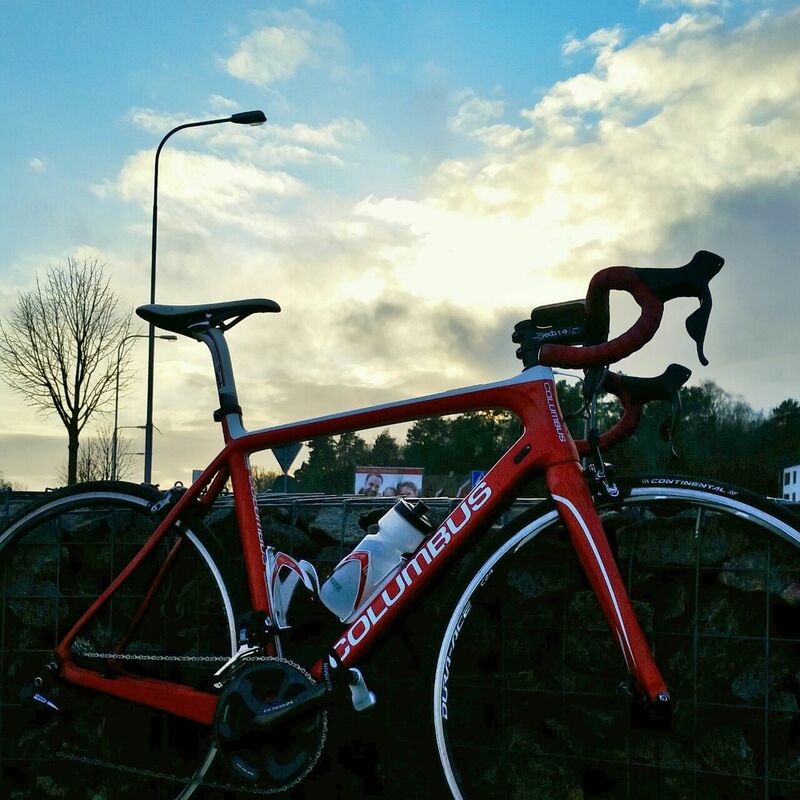 Lovely weather and lovely roads – ideal! I hope you all have a good week and are able to train as well! 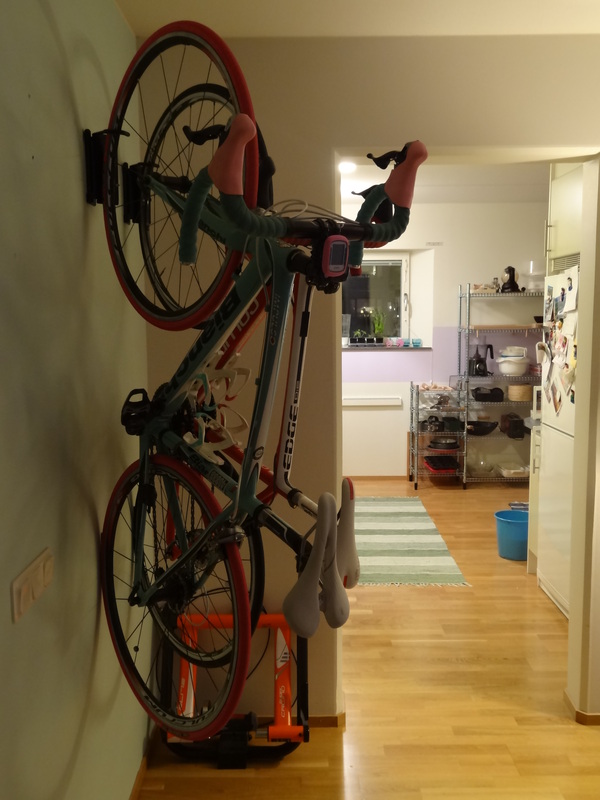 This entry was posted in Thoughts and tagged Blogging, cycling, dinner, exercise, glutenfree, homemade, Lifestyle, mid-week, Spain, vegan, vegetarian on 2015-01-14 by activebeans. So what has happened so far in week 2? 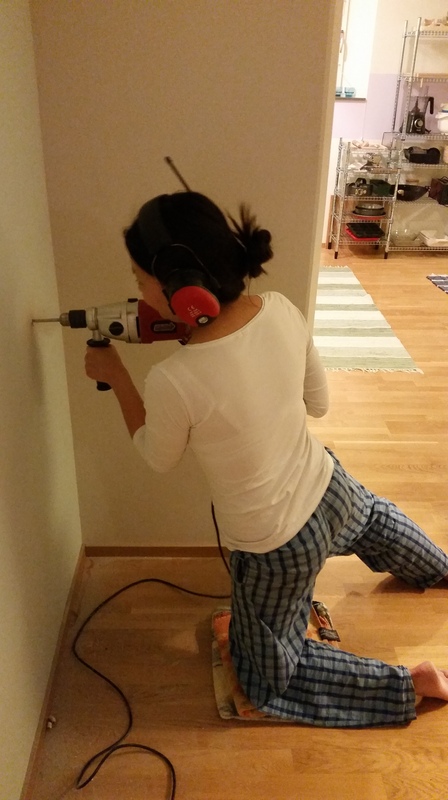 We both started working again today after our Christmas holiday. Not easy getting up at 6 when you are used to sleeping for much longer. 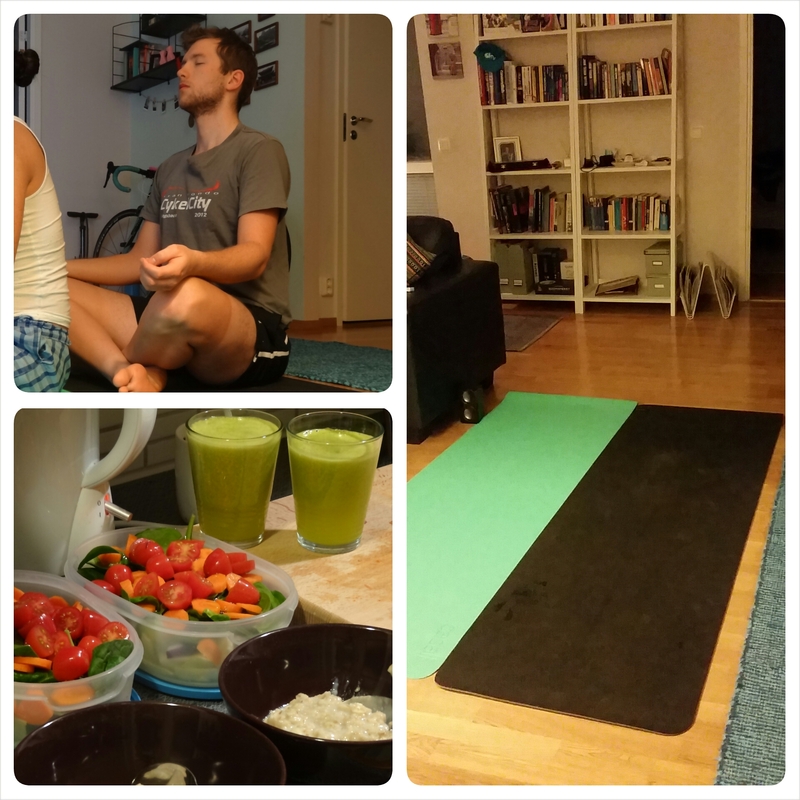 We managed to do so anyway and Jason started his morning with a yoga session. I will try to join in tomorrow morning 🙂 Normally I am too sleepy the first 20 mins after I wake up to do yoga on an empty stomach. The last few days we were off from work we just relaxed, took some nice walks and spent as much time together as possible. As I have written in a previous post, I injured my leg when I was out running at Christmas. I only need to rest my leg for a while, but I really don’t like not being able to run. I have been able to go cycling though and that was good. As long as you stay active in some way it is OK. Everyone should prioritise training in some way. It doesn’t need to be 4 times a week, but you will feel so much stronger physically and mentally if you exercise regularly. It can also help you avoid catching colds. We have bought many different vegetables this week to use in different dishes. We like to eat varied and some people probably think that is difficult when you eat vegetarian, but it is not! So, what have we eaten so far? 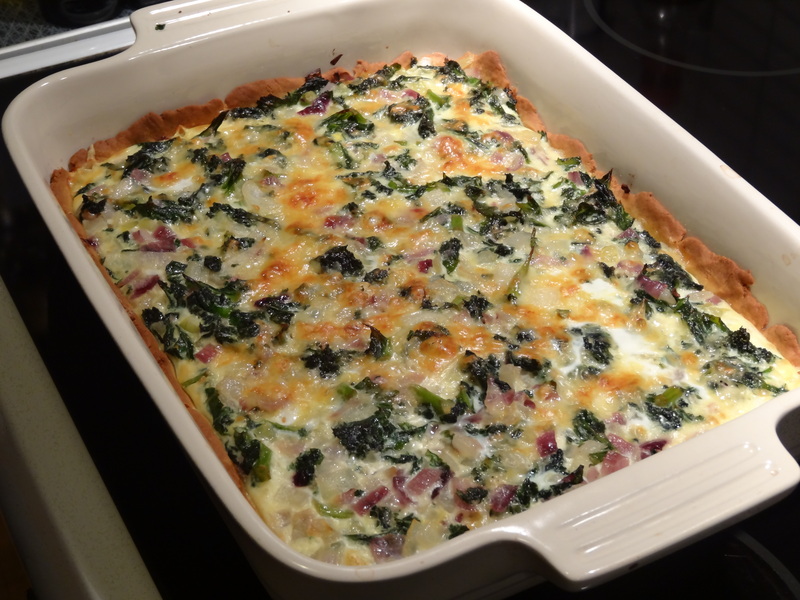 On Sunday we made a delicious pie, very similar to the one we made at Christmas, with kale and cheese. We did not use walnuts this time though and we made a gluten-free pie crust. We used soy flour, buckwheat flour and corn flour. 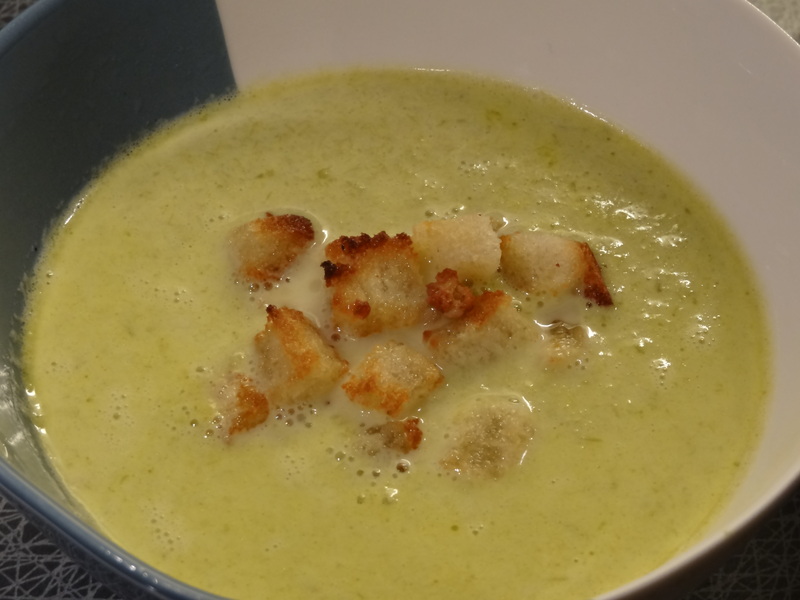 On Monday we made an asparagus soup with bread croutons. So easy and quick, but so good! On Tuesday we made pasta 🙂 We bought artichokes that we boiled and used in a pasta sauce. 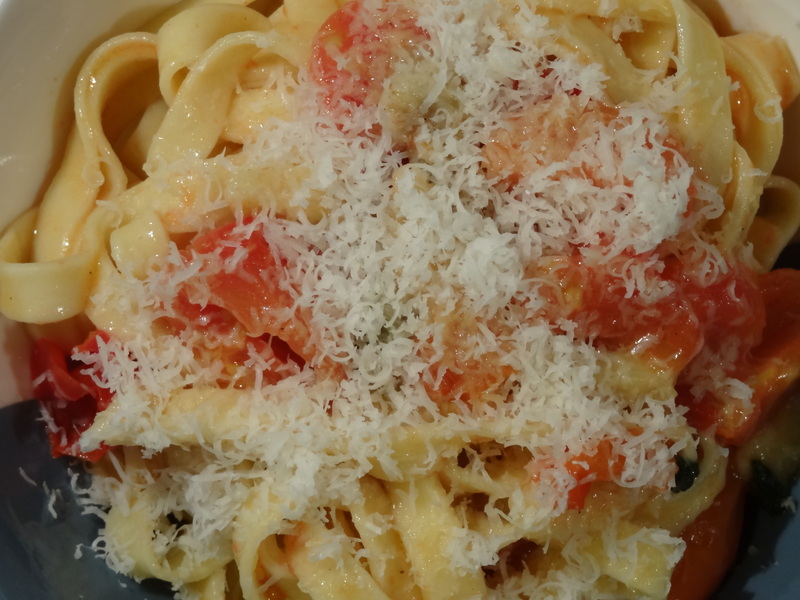 Even if it took some time to make the pasta, dinner was ready in less than 40 mins. Making your own pasta really doesn’t need to take too long. 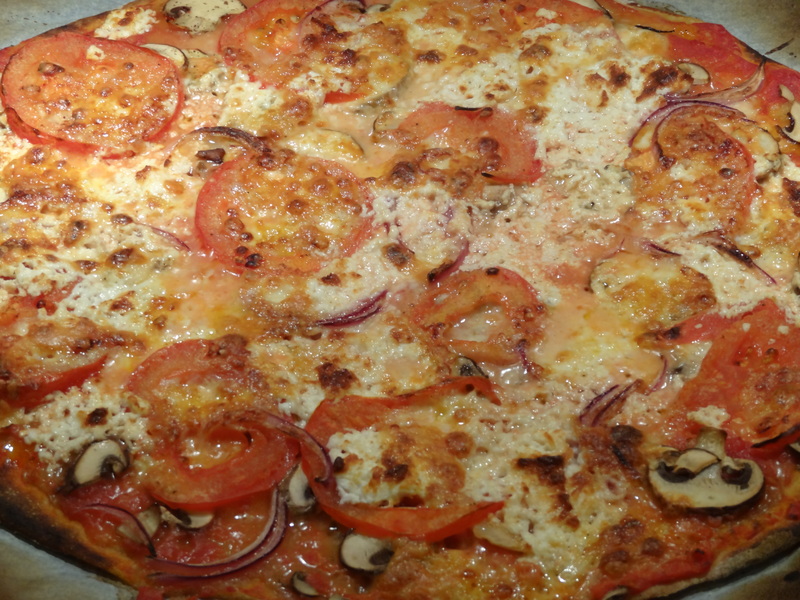 You can use the dough straight away if you want, it doesn’t need to rest for 20 mins. It is better if it does but if you are too hungry you can skip it. That is what we did and it was still delicious. We’ll try and add a couple of recipes this week. Enjoy reading! 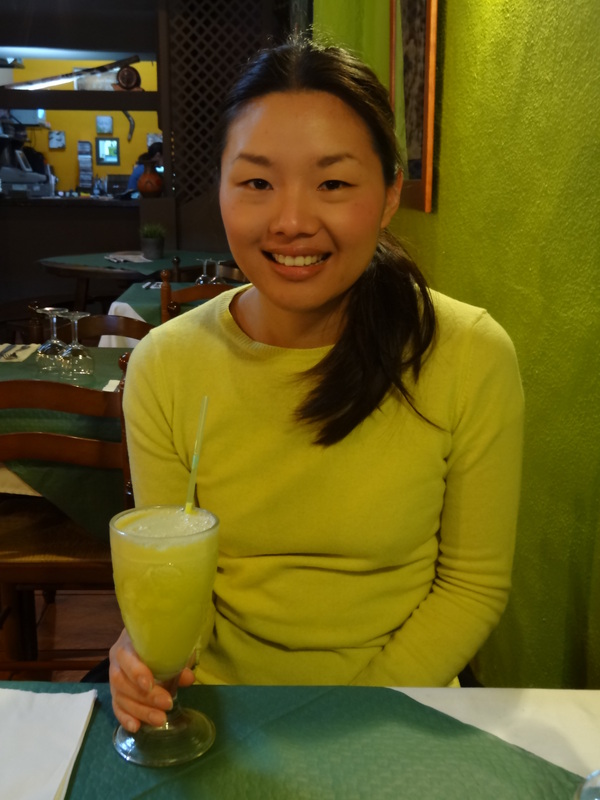 This entry was posted in Thoughts and tagged asian, Blogging, dinner, exercise, glutenfree, homemade, Lifestyle, mid-week, pasta, quickfood, tofu, vegan, vegetarian on 2015-01-07 by activebeans.